When most lower-priced rowers go to sleep at night, I am sure that they dream of one day becoming a WaterRower. The company is famous in the industry for making beautiful, durable rowers that give you the sensation of being on the water, a lifelike feeling that is unmatched by any other water-resistance rower on the market today. They are definitely among the elite of the rower world. WaterRower clearly has a very good reputation and I decided to review its GX Home, which is considered one of the more affordable rowers from this company. 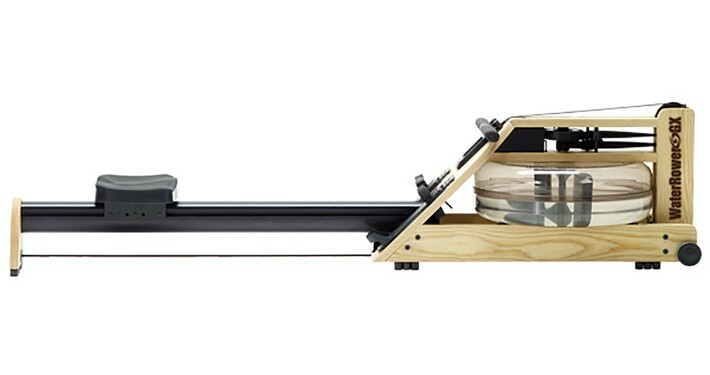 The GX is still a pretty pricey rower, but doesn’t cost as much as most WaterRower models. It feels only right that I should start this review with the patented QuickStart feature on the WaterRower GX. This feature comes with the GX monitor and, as the name suggest,s it allows you to quickly start most workout functions simply by pressing the center button. This feature was designed to simplify the operation of the monitor and make it easier to use. If you don’t like messing around with lots of buttons and figuring out the settings on a rower monitor, you will like this feature. 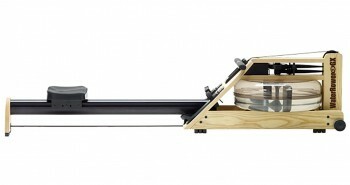 As is the case with all WaterRower machines, the GX Home is beautiful to look at. It is handcrafted from premium quality ash hardwood, used because it helps the rower to be quiet as it absorbs sound as well as vibration. The ash wood is also eco-friendly, as it is harvested from replenishable forests so you won’t have to worry about your carbon footprint when you purchase one. The GX is so attractive, you may just want to leave it out and on display in your living room instead of storing it away after a workout. But when you do want to get it out of the way, it folds into a compact size. 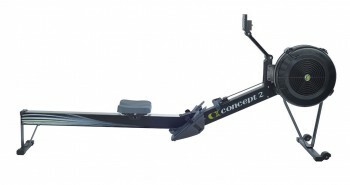 This rower also features an aluminum monorail on which its seat glides smoothly during a workout. 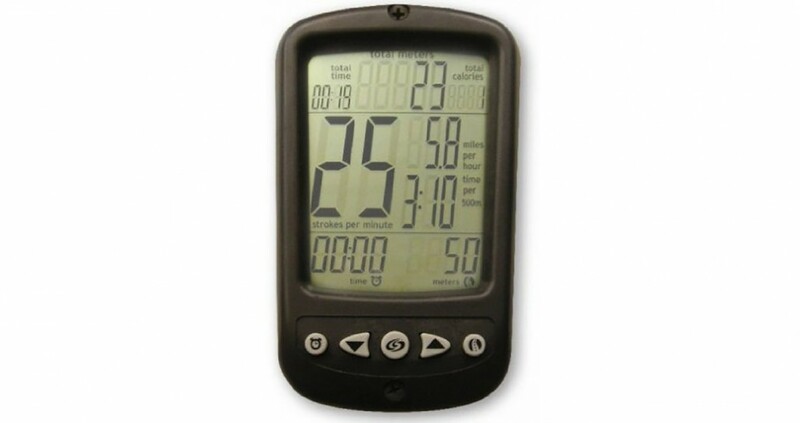 The water tank is made of the same tough polycarbonate that you will find on other WaterRower machines. The flywheel, which is really the paddles in the tank, provides the resistance during your workout. It also gives you the feeling of paddling on the water and produces a gentle swooshing sound that many users enjoy. One thing about the GX Home that I haven’t seen with any other rower so far is that it comes with 2 DVDs included in the package. These DVDs are ShockWave and Indo-Row — two popular programs for rowing. The lessons demonstrate proper rowing technique and can be used to help to improve your skills. The DVDs cover things like how to warm up and race on the GX Home rowing machine. They are specifically designed to be used with WaterRower. ShockWave is a cross-training program that delivers high-intensity workouts to help you burn calories as well as strengthen and tone your muscles. 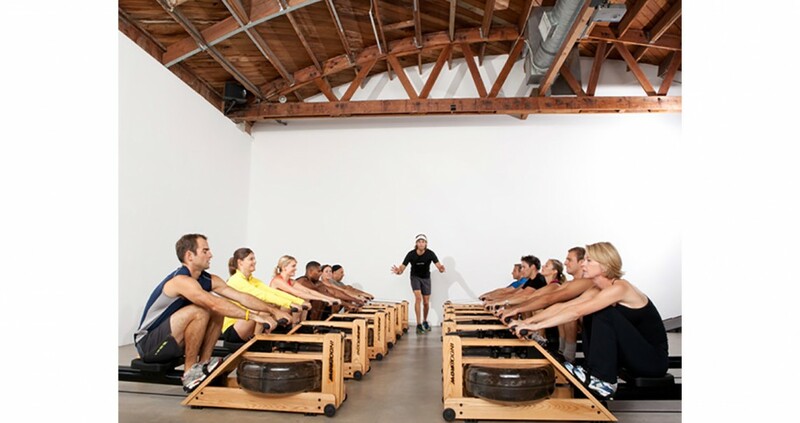 The Indo-Row program is designed for those who are new to rowing so it is easy to follow, motivating and fun. Comfort is always something to consider when you are choosing a rower. 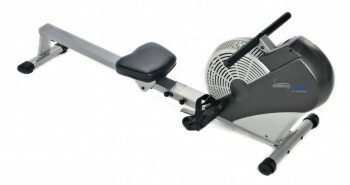 No one wants to work out on an uncomfortable rower, especially if the seat is hard. Fortunately WaterRower is known for making rowers with lots of ergonomic and comfortable features and the GX Home is no exception. 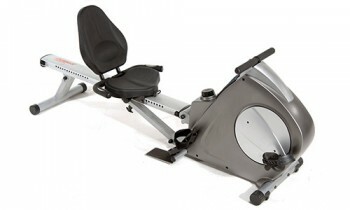 This rower has the same comfortable medium seat that you will find on the more expensive WaterRower machines. 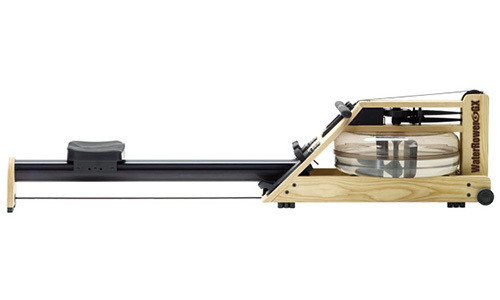 WaterRower is proud of the fact that its machines are handcrafted and made in Rhode Island. Even the wood they use to make their rowers is sourced from sustainable forests in the Appalachian mountains in the United States. Patriotic Americans who like to buy American will appreciate this. Where is the S4 Monitor? I was surprised by the simplicity of the monitor on the GX. 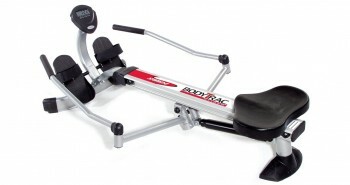 It practically has no advanced features and for a rower at this high price, I expected better. Most of the other rowers from WaterRower have the S4 monitor that has a host of features like a heart rate monitor and preset programs to make your workout sessions more interesting. The A1 home monitor on the GX, however, displays only the most basic workout information. The company has made an attempt to compensate for the simplicity of the monitor by including workout DVDs with your purchase. If still you need a monitor that will show you more than just your stroke rate, time and distance, you can upgrade to the S4 monitor for an additional fee. To me, the best things about the WaterRower GX are its attractive appearance, quiet operation and compact footprint. The price is high, but it is actually one of the more affordable WaterRower machines that you will find on the market. It is a high-quality, well-made machine that will give you the lifelike feeling of being on the water. One thing is sure: It would certainly look very good on display in my apartment.